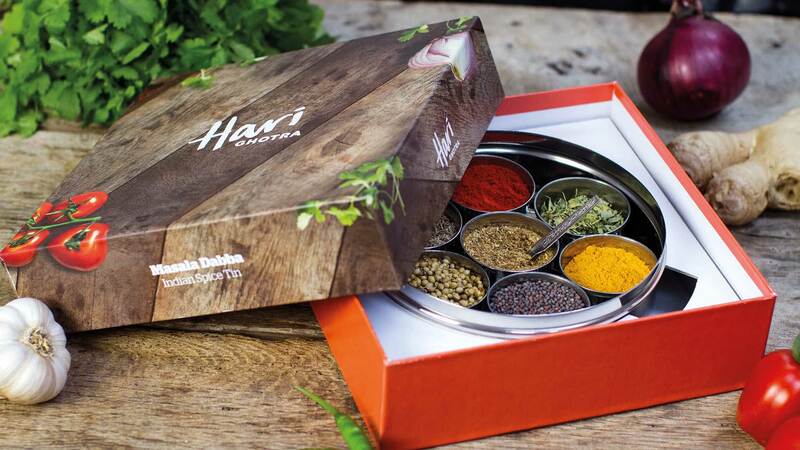 Hari Ghotra is an up and coming authentic Indian chef who has developed her own unique range of spice kits originally to complement her cooking courses. 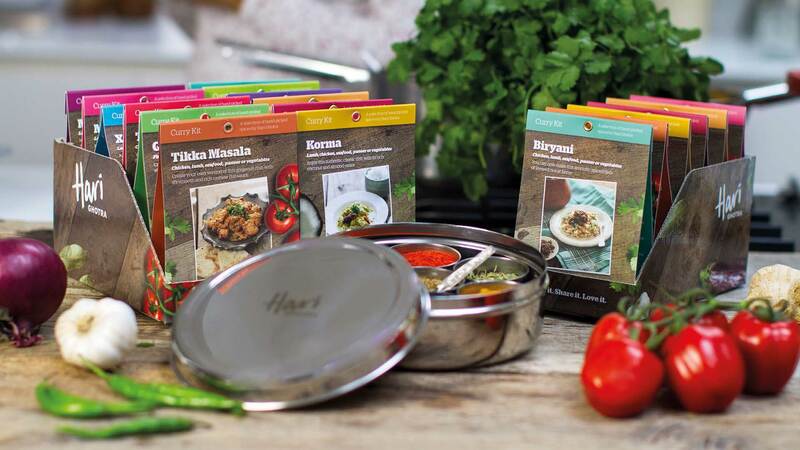 Hari Ghotra now sells her curry kits that feature her hand-picked spices accompanied by easy to follow cooking instructions supported by videos. The packaing development team at Livewire worked with the design team at Jellyfish to create shelf ready packaging for a range of products for the inidividul hand picked spice kits to a feature metalic spice tin. We produced concepts and physical mock ups for review and testing with audiences. These were then printed as retail ready packaging for the full range of spice kits. The selection features an outer box that also doubles up as an in-store shelf display thereby negating the need for seperate, costly transport packaging that would be thrown away. We also sourced and branded props for an exhibition booth at a trade event where Hari introduced her range to new audiences. "Hi guys - delivery turned up ok today. All looks amazing, really really pleased."